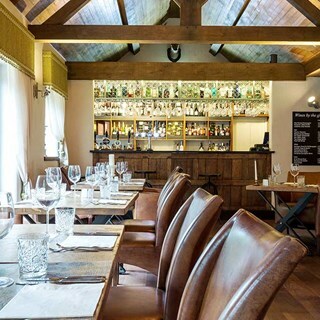 The Horseshoes is an Award Winning Gastropub, a place to eat, drink and unwind. 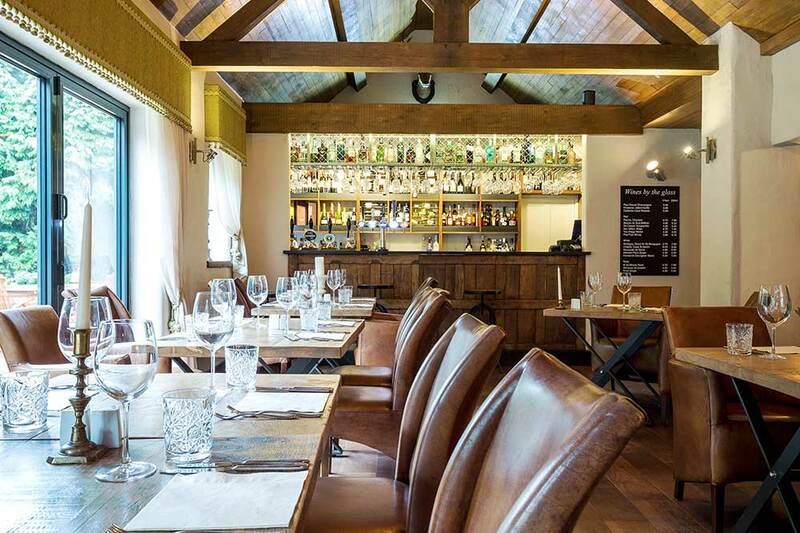 Set in the beautiful Derbyshire countryside, we serve delicious food alongside an extensive wine list and all of your favourite drinks in a relaxed and welcoming setting. One of the Midland's finest young chef's Gareth Ward with his new top class kitchen team, in their new state of the art kitchen, will delight you with an exciting, ever changing menu utilising seasonal local produce. Had a wonderful evening with my daughter on our first visit. The food, drink, service and atmosphere were all excellent. Our only disappointment was that the tables were positioned too closely together. This meant we heard the conversations of the diners on the adjacent table, throughout our whole dining experience. Spacing between tables too close as always. Insufficient privacy whilst dining because tables too close as always. Food was fabulous and presented beautifully. Service was prompt, efficient and friendly. We look forward to dining here again. Staff were very polite and attentive. Food amazing - will definitely be back!! Had a wonderful birthday meal on Sunday. 14 friends in the small room. Food, staff and service was excellent. Thank you. First time we have been and will definitely be coming back. Staff were lovely, food amazing, i had the roast beef and it was very tender, others in our party had pork and lamb everyone enjoyed their food. Well done and keep it up! My friends and I had one of the best meals for a very long time. We could not fault the combination of favours and textures in every course. You have a very talented chef - hold onto him - his culinary style his very similar to Sat Bains when he was cooking in Derbyshire. We wil return soon and recommend The Horseshoes to,our friends! Have been here many times it is always superb.Christmas dinner was amazing and the staff are lovely! Great food and service. Will certainly be back. Lovely family meal for my dads birthday. Service was very good and the food excellent. Most enjoyable evening and will be back. A fantastic experience, excellent food and efficient service. Looking forward to doing it again on the 1st Saturday in May. The vegetarian taster meal evening was wonderful. I booked this for my vegetarian friend and was overwhelmed by the quality of the food and the wonderful service, together with very charming restaurant manager and waiting staff. The Head Chef and his team are extremely talented. A thoroughly enjoyable evening! Lovely restaurant if you like quiet dining. food was as good, if not better than when I have been before, the service was excellent, staff were friendly, attentive and helpful. Lovely place. When arriving there was no one at the bar and we had to wait over five minutes before someone came. The wine and beer were great. The set menu was good value for money - although very limited. The starter and puds were delicious. All serving staff were friendly and polite. The main course of seatrout came with some sort of shell-fish on, which I am allergic to. There was no mention of this on the menu. As myself and husband were planning on sharing the food between us(!) he ate all the fish plate and I just stuck to the chicken dish we had also chosen. The shell-fish really should have been mentioned on the menu as it is quite a common allergy. On top of this, both meals were very very heavily salted, as were the chips. Plenty of water was need !